This is the third interview I have done with Erik Hersman in a year. Each has been in a different continent and each time I find his enthusiasm for entrepreneurship to be even more inspiring. Erik is one of five founders of the iHub in Nairobi, Kenya. It is a city that is booming, yet until now, it has no focal point for those IT start-ups that need cheap, fast Internet access and a place to interact with colleagues with a similar passion. iHub is the answer and when I visited on April 6th 2010, I found them in the early stages of building out. Erik and the iHub's new manager Jessica Colaço are both TED fellows. They combine creativity with sound business sense - as well as being great people to know. In the film you will also will also see two 3rd year students, Samuel Olembo and Angela Oduor, who are helping out. Check out ihub.co.ke, and if you've got a great idea, I definitely recommend hooking up. AM Radio is booming. Booming in the sense that more and more AM (medium and shortwave) transmitter sites are being dismantled across Europe. 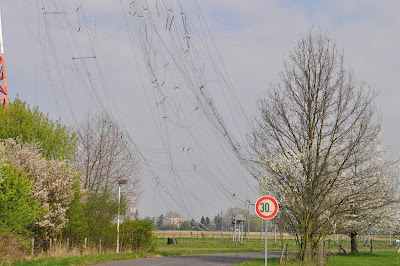 Curtain antennas at one of the large shortwave sites in Germany (Juelich) are being taken down. Meanwhile, the mast of one of Austria's most famous mediumwave stations just north of Vienna was dismantled in the more usual way. A controlled explosion. 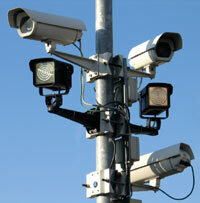 There are more than a dozen videos on Youtube. This one seems to be the highest quality. Interesting that people applaud when it is over. Everyone likes a firework display. But I think some engineers would rather burst into tears! Thanks to Eniak for sharing the Juelich photos and to Kai Ludwig for spotting them. I am also reposting the RFE/RL antenna explosions in March 2006. More clips from the tour I got from Wolf Harranth at the world's largest documentation archive for radio. 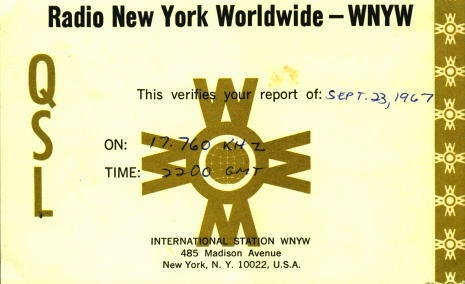 This part will definitely interest anyone who remembers or collected broadcast station QSL cards. When I was there in September last year, Wolf Harranth gave me the grand tour of the world's largest collection of radio related documents, both from the broadcast and amateur radio world. In fact the millions of QSL cards, magazines, books and unique government records tell the story of communication across international borders. They rely on help from volunteers and donations and I hope that this second video will help to explain why they are so passionate about preserving the golden age of international radio. They are looking for people who can help them build more pages in English - the German language pages are already very extensive. I worked closely with Wolf Harranth, the German media editor at the ORF, when I was host and presenter of Media Network on Radio Netherlands. We swapped transmission tapes and I am glad we both had the foresight to keep a lot of radio history others have subsequently thrown away. There is more information in both English and German at http:// dokufunk.org. Vimeo limits the size of files, so I have split this first draft into two parts. This second episode goes into a lot more detail because I know many others shared the memories that Wolf describes. Enjoy! More discoveries in the radio vaults in Vienna from Jonathan Marks on Vimeo. So glad the guys at Alexandra Palace have released this series on Youtube. Tip of the hat to Mike Barraclough for spotting it. Very impressed by the iHub being built on the top floor of this building just out of the centre of Nairobi. Much easier to reach than the grid-locked city centre and just amazing facilities. This is going to be one of the great innovation centres for Africa, starting at the end of April 2010. Broadcast on the 10th of December 1982, this very early Media Network programme looks at the broadcasts from North & South Korea aimed at each other and to other parts of the world. Professor John Campbell, then head of the computer science department at UC London, had a regular column on the programme, following on from his articles on clandestine radio in the World Radio TV Handbook and Passport to World Band Radio. 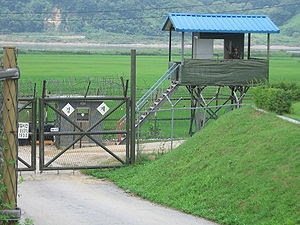 Check out the wikipedia entry: http://en.wikipedia.org/wiki/Korean_Demilitarized_Zone . The programme concludes with a contribution from the late Richard Ginbey, who regularly shared a unique collection of off-air recordings from his base just outside Johannesburg. I am so glad I came back from Kenya last week not this Thursday. I found it interesting that Flickr provides the best pics on the volcano in Iceland that has disrputed all airtraffic in NorthWestern Europe today (and probably Friday as well). Flickr1 Twitpics0. Enjoyed making this Media Network Wartime special. Looks at Lord Haw Haw, Liberty from Argentina during Falklands War, Voice of Vietnam's Hanoi Hannah. 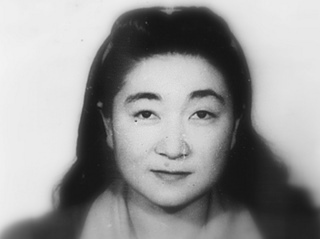 The rest of the programme then focuses on Tokyo Rose, with an in depth interview with author Russell Warren Howe who has been one of several people to dig deep into the background of Iva Toguri D'Aquino, who broadcast as "Orphan Ann" during the 15-20 minute DJ segment on Radio Tokyo's The Zero Hour program. For more information, check out the wikpedia entry: http://en.wikipedia.org/wiki/Tokyo_Rose. This programme was first broadcast on 14th June 1990. Labels: "Number stations" "Media Network"
In August 1992, Lou Josephs took me in his car to a poison-ivy infested ruin on a hill over looking the Atlantic Ocean. It was from this point in Scituate, Massachussets that WRUL, WNYW and WYFR broadcast programmes for several decades. Lou was working then for WROR in Boston, but in earlier years he had a Saturday job working in the New York City offices of WNYW. Luckily he also owned one of the first cassette recorders (so new they didn't know how to pronounce it on Dxing Worldwide). I always thought that at its peak in the late 60's the station radiated remarkable energy. Perhaps it was because distance still had magic. More recollections from Lou are still floating around the Interwebs. Check this link. 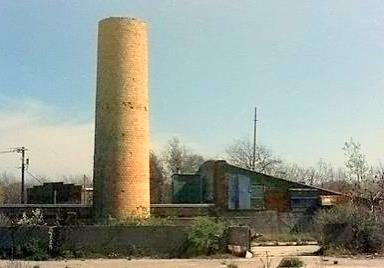 Thanks to Jim Cutler for the photo of the old WNYW site. The Media Network podcast from August 1992 on WNYW is up, and I see that 186 people downloaded in the first two hours. Most download it from the website, with iTunes coming a close second. If you like this stuff, please share it with friends! Some of you may not know that I have started publishing some old Media Network editions as podcasts. Since I have digitized many of the old editions in my spare time, I thought I'd respond to requests from friends to share this nostalgia. In the early hours of Thursday August 2nd 1990, Iraq launched an invasion on Kuwait. Initially, Iraqi forces managed to capture the studios of Kuwait Radio & Television at the Ministry of Information building. 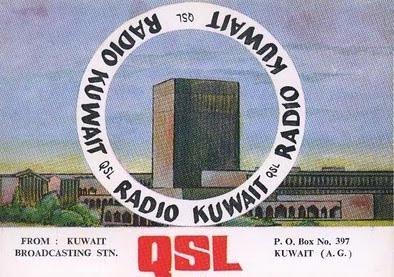 But after a period of silence, people running the shortwave transmitter of Radio Kuwait succeeded in getting the station back on the air with an announcement on all Radio Kuwait’s frequencies. Labels: "Äugust 9th 1990", "iraq invades Kuwait", "Media Network"
Here at the studios of Radio Bar-Kulan interviewing the staff of one of the most interesting radio stations I have visited in a long time. The rest of the city is off on Easter holidays, but not this place. The brainchild of Okapi Media, it has set out to broadcast to a country that have suffered civil war and a lack of a stable government for over 20 years. Just flew from Dar Es Salaam to Nairobi and we skirted around the peak of Kilamanjaro. What an amazing site and the flight was simply spectacular. Part of an international research team just finishing up a project for a client. Hope there will be more in this part of the world. I see my flight from Dar Es Salaam to Nairobi today is actually via Zanzibar. Not that much out of the way. The flight across to the island is a mere 20 minutes from Dar Es Salaam. There are five others on the plane. Then the Precision Airlines flight fills to capacity as we make the 1 hr 15 minute jaunt towards Kenya's capital.